Super opportunity! 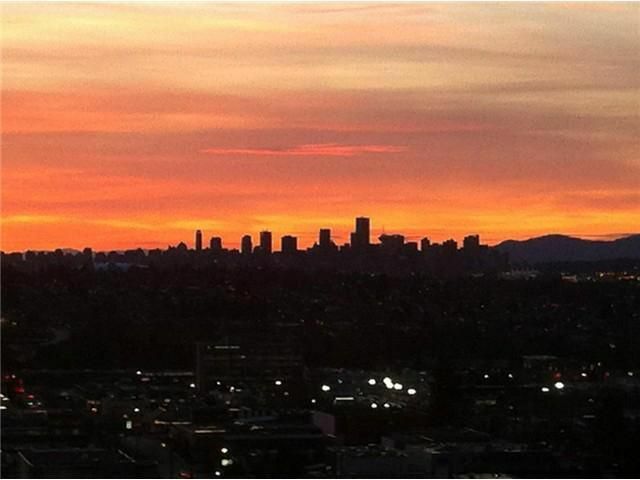 Rarely available south west corner suite with an unobstructed view of Downtown, the Northshore mountains and spectacular sunsets! You'll love the spacious layout with large rooms throughout. Entertainment sized living anddining rooms, kitchen with a pass through, two large bedrooms and two balconies. Shows well with updated carpets, lino, blinds, appliances and paint. A bright & cheery suite with many floor to ceiling windows. Most of the suite has a very private outlook. Convenient laundry on the same floor. Quality concrete construction built by Bosa. A very well run building with a proactive strata and an on-site caretaker. Only steps to Brentwood Mall & skytrain. The best view and exposure in the building!